We’ve just come back from a camping adventure to celebrate Sophie’s 12th birthday. She’s had a great time – we all have. We stayed at Bin Majid Beach Hotel’s beach campsite. 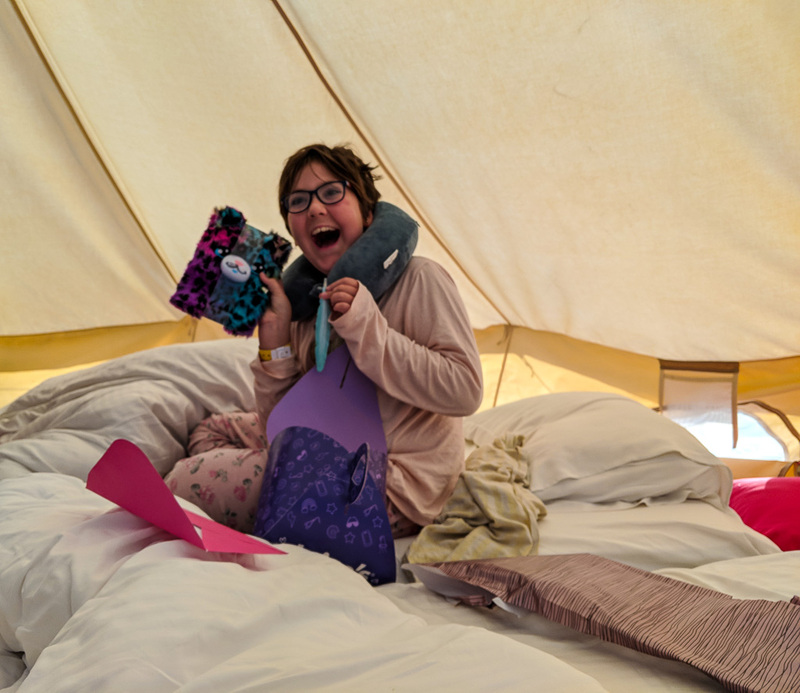 ‘Glamping’ is the term – the 6 person tent was set up for us complete with beds and all the nick-nacks needed to make for a very pleasant stay. Catering was provided by the hotel, as was the entertainment which included an open air cinema and ‘free’ bar and buffet. The food was great. We went with two other families (who Eirene’s become acquainted with through school) and I particularly enjoyed standing around a fire with a cold beer or two talking to the two other dads (it’s been a while since I’ve done that). One of those weekends where the time flew by – it’s now Saturday evening, so back to work and school in the morning for us Dubai living residents now.